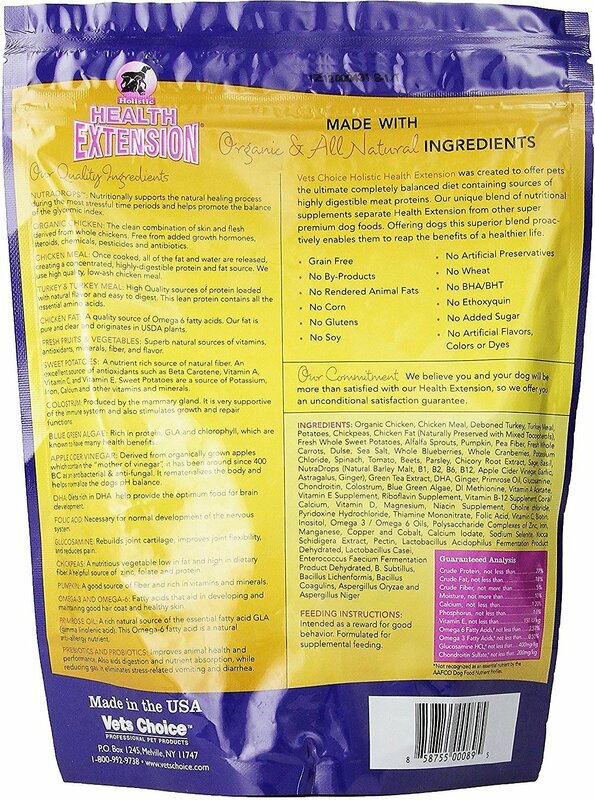 The Holistic Health Extension dry food your dog loves… now available in a heart-shaped treat. The first completely balanced diet for puppies and adult dogs. Heart-shaped treats suitable for puppies and adult dogs. No rendered animal fats, glutens, added sugar, or BHT. Organic Chicken, Chicken Meal, Deboned Turkey, Turkey Meal, Potatoes, Chickpeas, Chicken Fat(Naturally Preserved With Mixed Tocopherols), Fresh Whole Sweet Potatoes, Alfalfa Sprouts, Pumpkin, Pea Fiber, Fresh Whole Carrots, Dulse, Sea Salt, Whole Blueberries, Whole Cranberries, Potassium Chloride, Spinach, Tomato, Beets, Parsley, Chicory Root Extract, Sage, Basil Vitamins & Minerals: Longevity Drops (Natural Barley Malt, B1, B2, B6, B12, Apple Cider Vinegar, Garlic, Astragalus, Ginger), Green Tea Extract, DHA, Ginger, Primrose Oil, Glucosamine, Chondroitin, Colostrum, Blue Green Algae, Dl Methionine, Vitamin A Acetate, Vitamin E Supplement, Riboflavin Supplement, Vitamin B-12Supplement, Coral Calcium, Vitamin D, Magnesium, Niacin Supplement, Choline Chloride, Pyridoxine Hydrochloride, Thiamine Mononitrate, Folic Acid, Vitamin C, Biotin, Inositol, Omega 3 / Omega 6 Oils, Polysaccharide Complexes Of Zinc, Iron, Manganese, Copper And Cobalt, Calcium Lodate, Sodium Selenite, Yucca Schidigera Extract, Pectin, Lactobacillus Acidophilus Fermentation Product Dehydrated, Lactobacillus Casei, Enterococcus Faecium Fermentation Product Dehydrated, B. Subtillus, Bacillus Lichenformis, Bacillus Coagulins, Aspergillus Oryzae And Aspergillus Niger. What is the difference between “chicken” meal and “chicken by - product” meal? Chicken meal is a high quality concentrated protein source that contains muscle meat. By law it may not contain heads, feet or intestines. Chicken by - product meal contains a variety of chicken “parts” including heads, feet and intestines. 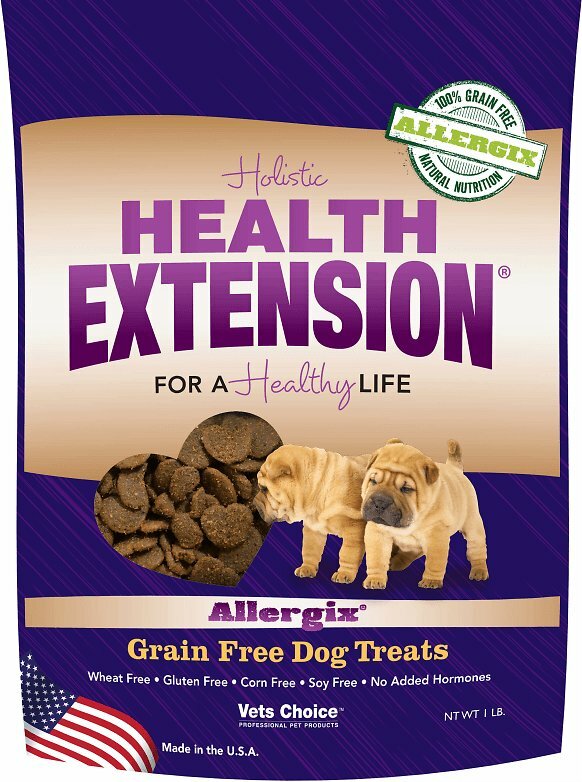 Health Extension dog foods, cat foods and pet products are all - natural. Our foods have no added artificial colors or flavors. Colors and dyes are used to mask the natural colors which give a consistent color. We expect to see slight variation from batch to batch. This is simply a reflection of the natural ingredients we use and in no way affects the quality of the food. These are great for my Minpins. Small dogs need small treats, buy healthy ones as well. Don't understand why some of my dogs don't love them but still eat them. Great for training. Like the idea that this product is good for dogs with allergies and is grain free. The size could be just a wee bit smaller for training purposes. Great allergy free treat. My new English bulldog loves these for a snack. Some of the pieces are very hard i could not break apart and felt they were too hard for my puppy. 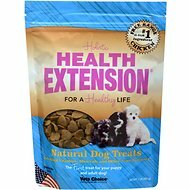 I will stick with the regular Health Extension treats my pup absolutely loves those and those are not so hard. These are wholesome treats and I like the fact they are made in the USA. You get a lot of treats in the bag and both of of my dogs love them. I use them as a special reward. 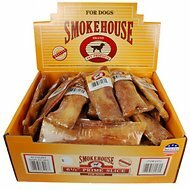 All of my dogs loved this treat and most of my dogs are very picky on what they eat! 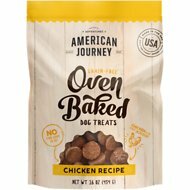 This is a great treat for rewarding and also when my dogs and puppies hear the bag they come running for more! You get a ton of treats. Perfect for training. My dog likes them.